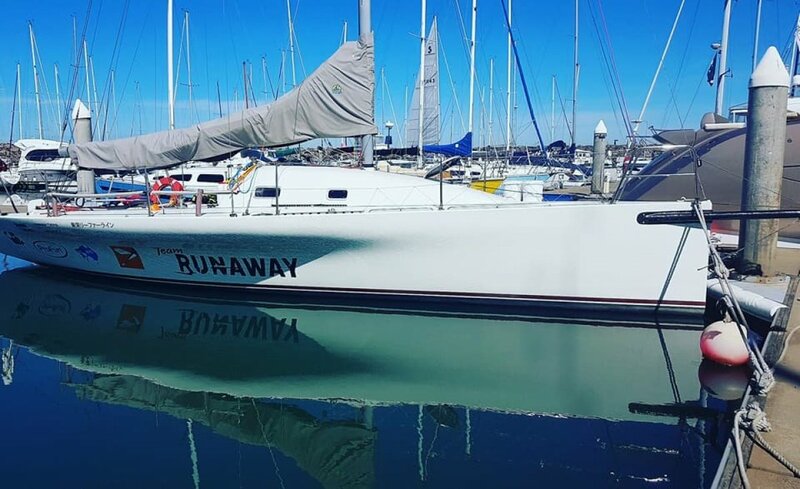 An affordable opportunity has become available for someone to continue Team Runaways legacy as the perfect boat to achieve your yachting goals. Runaway has been specifically setup for short-handed racing however has also raced successfully fully crewed in recent years. This yacht has strong history of ocean racing and has seen me achieve my childhood dream of successfully completing the 2018 Melbourne to Osaka Yacht Race finishing 4th line honours and 4th overall on corrected time. If you are serious about being competitive or even winning a race like the Osaka Cup on a budget then this is the boat for you. Currently compliant to Category 1+ with Australian registration and with all the work already done, Runaway is ready to go for its next adventure. Engine: Lombardini LDW 702SD. Installed 2014, refurbished 2017. Regularly serviced. Other: #5 (dacron), storm sails, code zero (not IRC/AMS rated), masthead running kite, 2x fractional kites. All kites are asymmetrical. All sails have been serviced and headsails have been converted to hanks for short-handed sailing however can provide the original tuff luff. -Large amount of various engine spares including alternators, starter motor and general items such as fan belts, filters etc. All refurbishment was completed professionally to a very high standard. Anyone familiar with Runaway will tell you how well built she is and performs for her size. A true giant killer that will see you finishing ahead of much larger yachts!